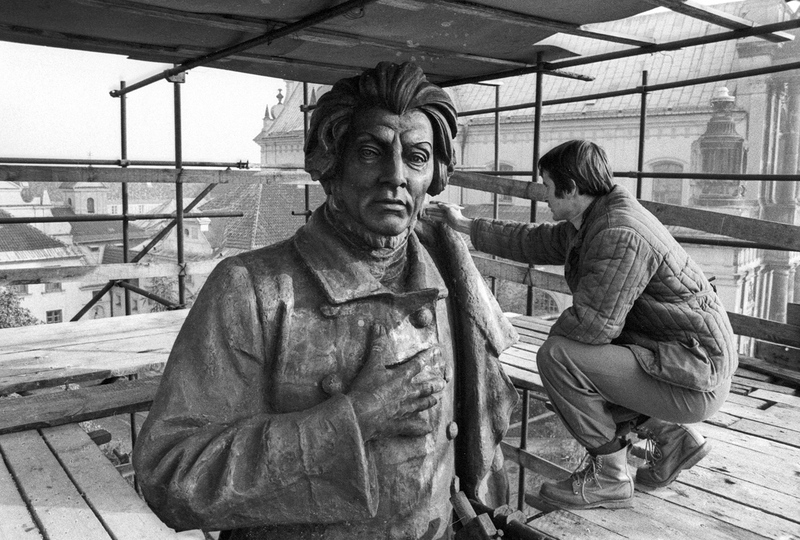 Last year, 215 years had passed since the birth of Adam Mickiewicz. His most famous work and one of particular significance for Poles – as well as his contemporaries across Europe – is Dziady, or Forefather’s Eve. It is a poetic drama considered one of the great works of European Romanticism. To George Sand and George Brandes, Dziady was a supreme realisation of Romantic drama theory, to be ranked with such works as Goethe's Faust and Byron's Manfred. The drama's title refers to an ancient Slavic and Lithuanian pagan feast commemorating the dead (the "forefathers"). The drama comprises four parts, the first of which was never finished. Part III joins historiosophical and individual visions of pain and annexation, especially under the 18th-century partitions of Poland. It was written ten years after the others and differs greatly from them. It was written by Mickiewicz right after the disastrous November Uprising, apparently with a strong sense of guilt for not having taken part in the movement. It includes the famous Vision of Friar Peter through the mouth of whom Mickiewicz reveals that a Messiah is bound to come, a saviour and deliverer of the nation. This nation is, of course, Poland. And the question remains - who is the Messiah? Trying to answer what the poet had in mind would be a vicious and nonsensical task – with us, the late grandchildren forever doomed to speculation by literary scholars – were it not for the fact that a contemporary of Mickiewicz asked the question himself. And he got an answer. When I asked him what in reality he understood by the number 44, he responded by telling me in great detail about his work on this part of Forefather’s Eve. It was in Dresden. He was overcome by some extraordinary afflation. For three days he could not stop writing. The table was covered with blank sheets of paper, and for the entire day he would be stretched across the table, almost lying down on it, and he wrote. He only stopped writing in as much as there was the need to eat anything from time to time, and then he returned straight away and carried on with the work. Sketching out the prophetic image of the man, the Saviour of Poland, he seemed to think that he would be this man himself. This was not a consequence of conceit, because he felt the whole magnitude of sacrifice burdening such a man. A toil of toils. The traits he used to portray this man out were thrown down unknowingly, with no intent – he was not aware of it while working on the image and is not able to account for it today. Similarly with the number 44 – not knowing why he put down this number and not another – he put it down as it imposed itself in a moment of inspiration, where there was no place for any reasoning. It seems that if the author states explicitly that he had himself in mind while writing, then the matter should be simple. But for a long time, it was neither evident nor simple at all. Mickiewicz referred to the fragment twice more. Already a member of the Circle of God's Cause, he publicly declared at College de France that the prophetic fragment referred to Towiański, and finally, he told his son that the number 44 was a mystery to him. Many speculations circled in the milieu of Polish emigrants about the real meaning ciphered in 44. Mickiewicz never contradicted these speculations, of which he was aware. Recurring ideas referred to Adam Czartoryski, Napoleon II, Towiański and Mickiewicz. The mystery had to wait for its solution. In 1924, a literary scholar Juliusz Kleiner was the first to advance a satisfying response to the meaning of this mysterious number. It was also a response that never made a huge impact among neither those who studied Mickiewcz nor the common knowledge of Poles. In his interpretation Kleiner followed a path indicated in late 19th century by Lucjan Siemieński, who pointed to parallels between Mickiewicz’s messianic ideas and the French philosopher Louis-Claude de Saint-Martin. But the number itself was not drawn from Saint-Martin. Kleiner is convincing in his assertion that Mickiewicz was directly referring to the Kabbalah, and to gematric studies in particular. Gematry is the concept of a number value attributed to letters, and it is first of all present in kabalistic studies of the Bible. In the Hebrew alphabet, 40 is the letter M and 4 is a D. Kleiner concludes that the author was trying to cipher his own name in this number. All would be great it it was not for a mistake in the poet’s calculations. He started with the incorrect assumption that Hebrew never notes down vowels, so he only counted the consonants D-4, M-40 (DM), while he should also take into account the first “aleph” and its value of 1 (ADM). If it was so, he would also come up with a different equation and perhaps we would be repeating a different verse “And his name 40 and 5”. A man whose name is Adam can be the prophesised Messiah. 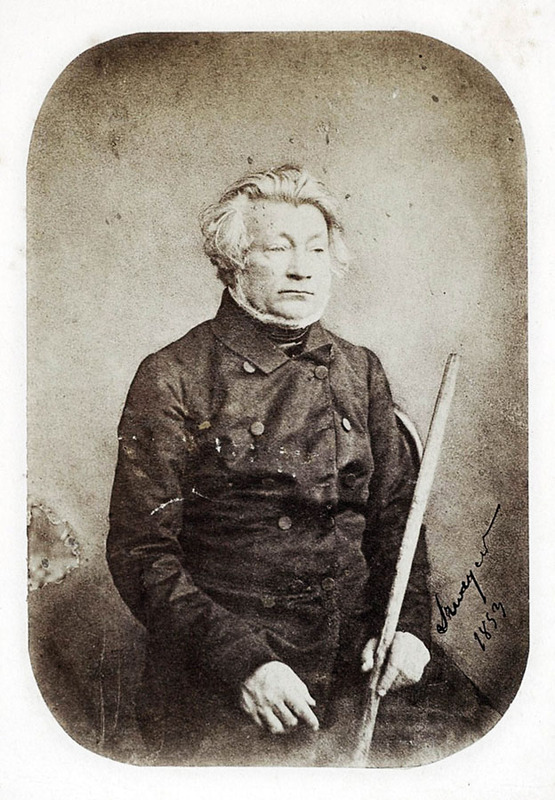 On this basis the prophecy may point to Mickiewicz himself, all the more since it was not by free choice that he was granted this name, but because he was born on the 24th of December [which is designated to celebrate the names Adam and Eve], and because his surname begins with the letter M – like Messiah. And his name will be forty and four"
Branicki wrote the above in an introduction to his translation of Rabbi Schossburg’s Elegy. It is a curious fact that Kleiner’s revelations never became common knowledge among Poles. Whenever the sentence is quoted, it is as if without any knowledge of this very probable interpretation. The words “And his name 40 and 4” are commonly used as a symbol of some unknown and unclear prophecy, a mystical secret, an unresolved and final mystery. But why? Especially as the solution is so neatly placed on the table by scholars, and the connection with a Jewish heritage and context are self-evident. For Jews, the Messiah belongs to the future, for Christians - he belongs to the past. The former await him, and the latter have already received him. The figure of a savior is thus a return to the Jewish concept. (...) Poland is a new Isreal. Poles, just like Jews after Messiah’s birth - are to receive the Messiah who is revealing himself. Such a connection would make it a keystone of all ideology, he threw it out of himself – like a shot of lava - in the inspired Vision of Friar Peter, and now he is expanding it, using what he can remember from the family’s story, or perhaps from neighbourhood rumours, about his mother’s descent. This heritage, of which he could not have been, of course, ignorant, but which he repressed to his subconscious, thus becomes a keystone of the new ideology. It fits like a glove, it is so perfect that - if it didn’t exist, he would have to invent it. Sandauer also notices that from that moment on, Mickiewicz never manifests any negativity in his comments about Jews. Such connotations were present in his writings before, but they were now replaced with only positive, and mystical descriptions. Mickiewicz thought that Fate had Poles and Jews come together in one country, and that it was “fate that bound so strongly the two nationalities, seemingly so strange to one another”. He said “To Isreal, the older brother, honour and respect”. And towards the end of his life, he devoted his energy to the idea of creating a Jewish legion in Constantinople. Who knows, perhaps if he became silent, maybe it was due to fact that such a burning thing could not be expressed to the end, he could not throw away the mask that was eating his face, and that within his 'ego-messianic' concept he had to employ a code. He had to, because in the eyes of a contemporary Polish society, his heritage was considered - and still is, in some circles - as a shameful one. One could therefore ask the question why nowadays the phrase “and his name 40 and 4” is more a symbol of something obscure, and the equivalent of the greatest, mystical, patriotic and apocalyptic national secret? Why does it get tossed around and used in political game? And, according to logic of prophecy, why is it made to be associated even with the catastrophic Warsaw Uprising of 1944? The question is, why is it all of that but never a symbol of the fantastic vision of community and the deepest bond between Polish and Jewish fates? A vision that seemed very real to its author, a beautiful and inspiring dream that Mickiewicz himself believed in. Why is it that the Jewish context of Mickiewicz’s poetry and his messianic philosophy is more of a specialists’ secret knowledge and not commonly shared information that would fill us with pride? Forefather’s Eve without the Kabbalah, Messianism without Jews, and the foreign mother – that's in Greek. Why has the “name 40 and 4” failed to symbolize a great vision of Polish-Jewish brotherhood? These would be questions for a psychoanalyst of Polish literature.